While prototyping an Approval process against listitems for a client, I had a need to remove (hide) the Approve/Reject ECB menu item for items in a specific list. 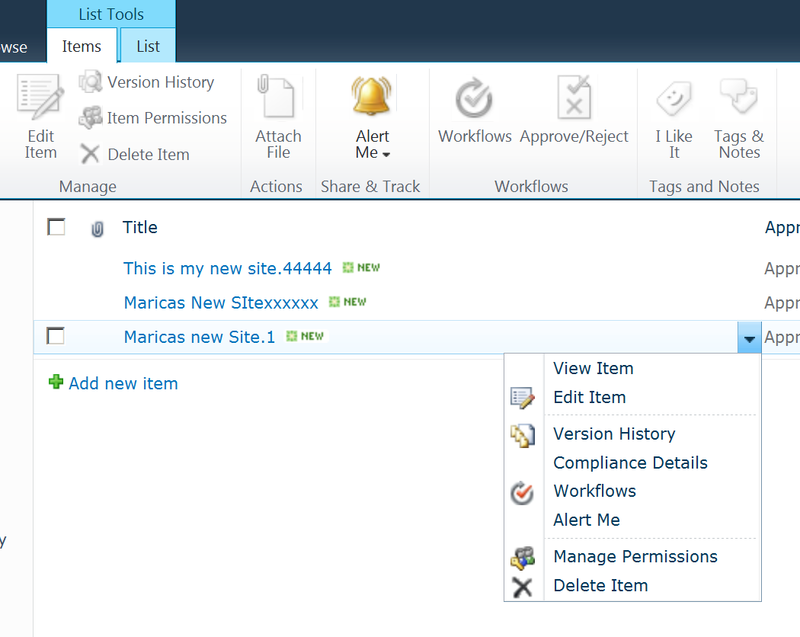 Using the OOTB SharePoint 2010 Content Approval Workflow with Listitems. 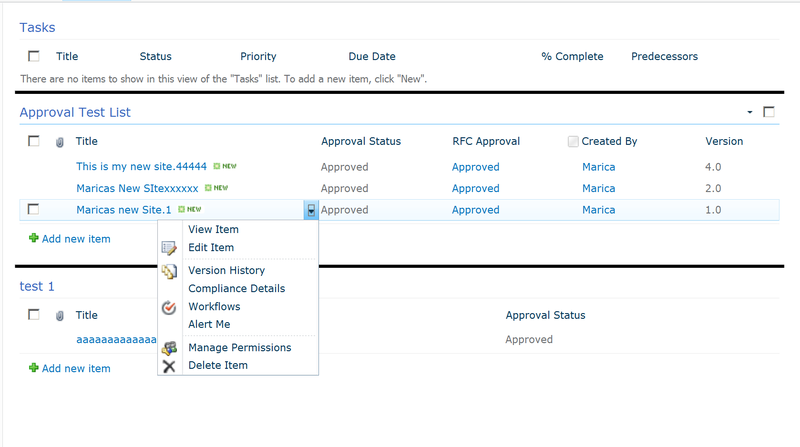 This workflow can be used to manage content approval for Listitems, but there is a caveat. 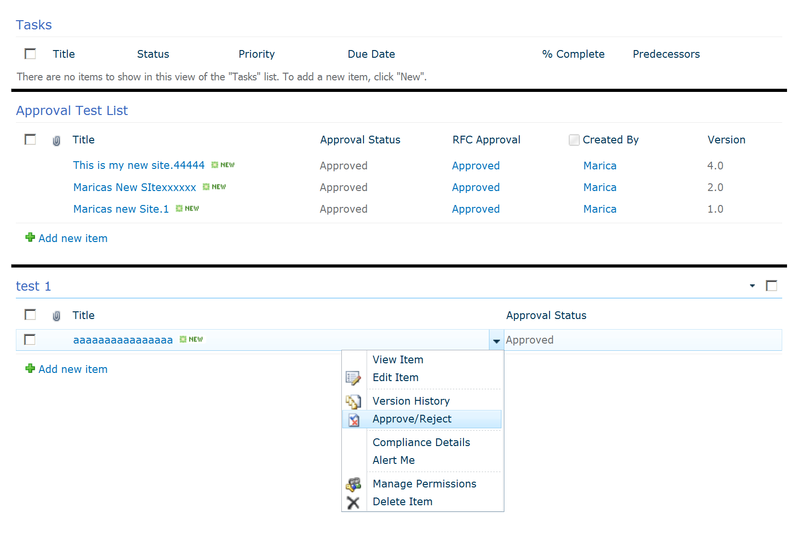 The Workflow will not set the Approval (Moderation) status column of the workflow listitem if the Workflow has been configured to start automatically on item change. This makes sense, since it would cause a new workflow instance to be started. This means to use this workflow to manage content approval in this way, you have to configure the workflow to not start automatically on item change and a user must start it manually. 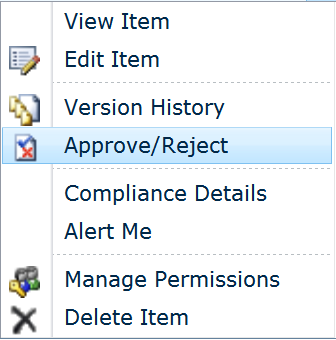 This causes a problem for listitems in particular, because the ECB menu contains the Approve/Reject item which would allow a user to circumvent the workflow based approval process, so to work around this I wanted to hide this ECB menu item but only for items in a specific list. Most of the options suggested by google involve editing the CORE.js which I didn’t want to do, the solution must be deployed and activatable in a supportable way, and be able to handle the ECB menu built when a user is using a list view and also when a list view webpart has been added to a page. A script running on every page which examines the ContextInfo and using the ListTitle property to determine whether it needs to override the default List menu items. The first part of the script is a function which checks if the ContextInfo object passed to it is the ContextInfo object for the list we are interested in ~ in this case the function is being called by the Custom_AddListMenuItems() function. If the function is called without arguments, it examines the g_ctxDict variable (an array of ContextInfo objects) looking for a ContextInfo object for the list we are interested in. The next part of the script will remove ECB menu items introduced via feature activation (Custom Actions) ~ these get added to the page as embedded HTML markup, and this function will remove them as required so that they can’t be added to the ECB. The next part of the code is a bit contentious ~ there seems to be no way to stop individual OOTB ECB menu items from being added to the ECB (security aside) since they are added by the AddListMenuItems function in CORE.js, this function is called when you first click the drop-down arrow for a listitems ECB control, and, there is a hook into this function. By declaring a function named Custom_AddListMenuItems you can hook into and completely override the way an ECB is built for list items, and by returning either true/false from the custom function you can control whether the AddListMenuItems function executes its own code (builds the OOTB menu items) or not (meaning your code has built the ECB menu). In my scenario, the Custom_AddListMenuItems function is implemented such that, if the ECB is being built for items in the list we are interested in it will build the standard ECB (minus the bits we don’t want) using the code copied from CORE.js and return true, otherwise it will return false, indicating that the AddListMenuItems function should execute its own code as normal (and build a standard ECB menu). This copying of code from CORE.js is the bit I don’t like, but there seems no other way of doing it. When put together and activated via a Site scoped feature, the Approve/Reject menu item does not appear for the specific list, whether the list is viewed in a list view web part on a page, or in a list view page itself. List View Web Parts on a Page. Great, thank you. this is the best way i’ve found on google to acomplish it.